Sudell Services Ltd - Cleaning Services, Fascia/Soffits/Guttering based in Warsop, Nottinghamshire. 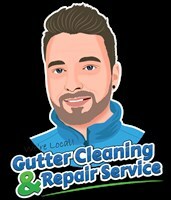 Sudell Services Limited (also known as Gutter Cleaning & Repair) are experts in gutter and drainage services including Gutter Cleaning, Gutter Repairs, New Gutter Installations, and Drain Cleaning. Proven track record with top-rated 5 Star reviews. We provide FREE Drainage Inspections. We use the latest, most powerful gutter cleaning machines available on the market to professionally clean out gutters. We can reach and clean out gutters up to 5 stories high, including difficult gutters over conservatories and extensions. We have a fully stocked van with new spare parts should they be required. We DO have ladders that enable us to access your gutters and roofline if required. We pride ourselves on our well-organized vans, efficient working methods, optimized-scheduling, and a polite and friendly manner (all in aid to deliver the best service at the best prices possible). Thank you for reading our profile on Checkatrade. We hope to hear from you soon.